Venture out of the city with trips to Lincoln's Rock (in Blue Mountains National Park) and Wentworth Falls (in Katoomba). Spend the 12th (Sun) exploring nature at Sydney Harbour National Park. 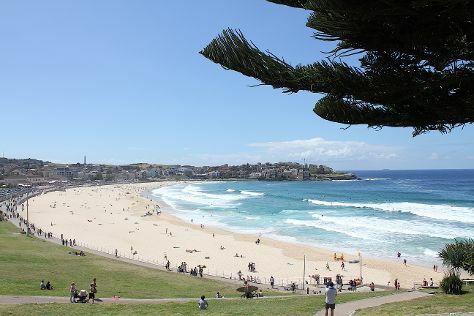 There's lots more to do: enjoy the sand and surf at Bondi Beach, enjoy some music at Sydney Opera House, stroll through Manly Beach, and examine the collection at Australian National Maritime Museum. To see other places to visit, where to stay, ratings, and more tourist information, you can read our Sydney trip planner . Manila, Philippines to Sydney is an approximately 10.5-hour flight. The time zone difference moving from Philippines Time to Australian Eastern Standard Time (New South Wales) is 2 hours. Expect colder temperatures when traveling from Manila in May; daily highs in Sydney reach 24°C and lows reach 14°C. Finish your sightseeing early on the 14th (Tue) so you can travel to Gold Coast. 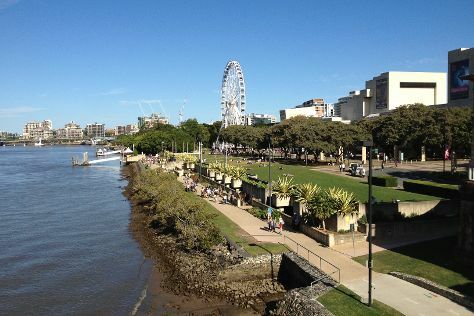 You'll find plenty of places to visit near Gold Coast: Brisbane (South Bank Parklands, City Botanic Gardens, & more). Pack the 18th (Sat) with family-friendly diversions at Dreamworld. There's still lots to do: get up close and personal with brilliant marine life at Sea World Theme Park, find something for the whole family at Infinity Attraction, and kick back and relax at Surfers Paradise Beach. To find ratings, traveler tips, other places to visit, and more tourist information, read our Gold Coast holiday app . You can fly from Sydney to Gold Coast in 3.5 hours. Alternatively, you can do a combination of flight and train; or drive. May in Gold Coast sees daily highs of 27°C and lows of 15°C at night. Finish your sightseeing early on the 18th (Sat) to allow enough time to travel back home.